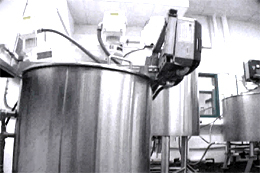 Our manufacturing capacities range from as little as 30 gallons to 6,000 gallons per shift. 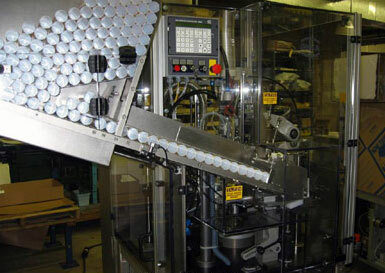 The Filling processes are equipped with semiautomatic and fully automatic rotary filling machines. 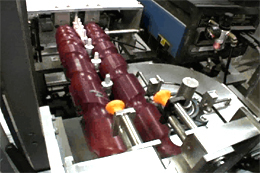 This gives us the capability to fill any size order, from 3,000 to 250,000 pieces. We can fill bottles, jars, tubes, gallon containers, pails, drums and bulk totes. We would be happy to discuss your manufacturing and packaging needs with you. We can help you coordinate your entire product line from concept to finished package -- in person, over the telephone, or by fax. We have experience with exporting products worldwide and can help you to complete the required import/export documents, if needed. We are working with the most recent technology in ingredients, especially natural derivatives and peptide formulations. 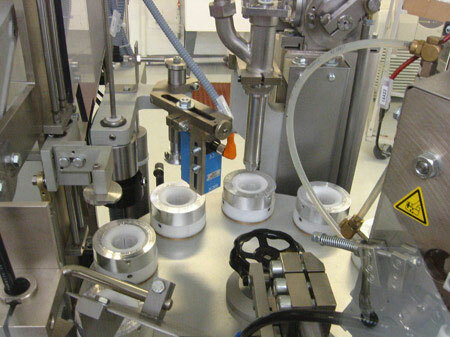 We can package any of these products in standard industry sizes and in standard case packs. Special sizes, other than standard, are available on request. 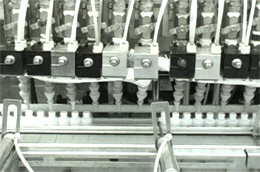 We also offer bulk manufacturing for most products. Also, read 'Private Label' for more detailed information. You can feel comfortable knowing that the facilities where our products are manufactured are both GMP and OTC certified. With GMP Certification (Good Manufacturing Practices) you are assured that the products we provide you with are manufactured in a facility that complies with the guidelines set forth by the National Nutritional Foods Association. 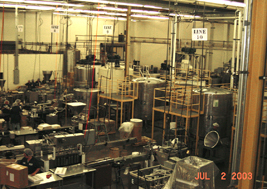 Furthermore, to maintain this certification, the facility is periodically inspected and audited to ensure continuous compliance in the areas of Personnel, Manufacturing Plant, Grounds, Sanitation, Equipment, Quality Operations, Production and Process Controls, Warehouse, Distribution, and Post-Distribution Practices. When you work with a GMP Certified facility, you know that your products will be clean, safe, and you will get exactly what you ordered. Along with our GMP Certification, our facilities also have OTC (Over-The-Counter) Certification. 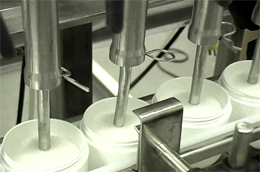 This allows us to make you products with over the counter drugs in them. If you desire, we can help you to private-label your own line of non-prescription pharmaceuticals. Of course, even if that is not what you need from us, the fact that our facilities have achieved this high level of certification should give you an idea of our high-standards and capabilities, and give you more confidence in working with us.